Новости Все новости Главная Лаки для ногтей Лаки "Cuccio Colour" Коллекция "Neon"
Лак Cuccio Colour Fusionista 13 мл. 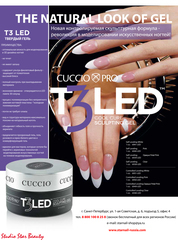 Лак Cuccio Colour Elec-trick 13 мл. Лак Cuccio Colour Lightning Strike 13 мл. Лак Cuccio Colour Shock Value 13 мл. Лак Cuccio Colour Recharge Your Battery 13 мл. Лак Cuccio Colour Alternative Energy 13 мл. Лак Cuccio Colour Say Watt? 13 мл. Лак Cuccio Colour Power Trip 13 мл.